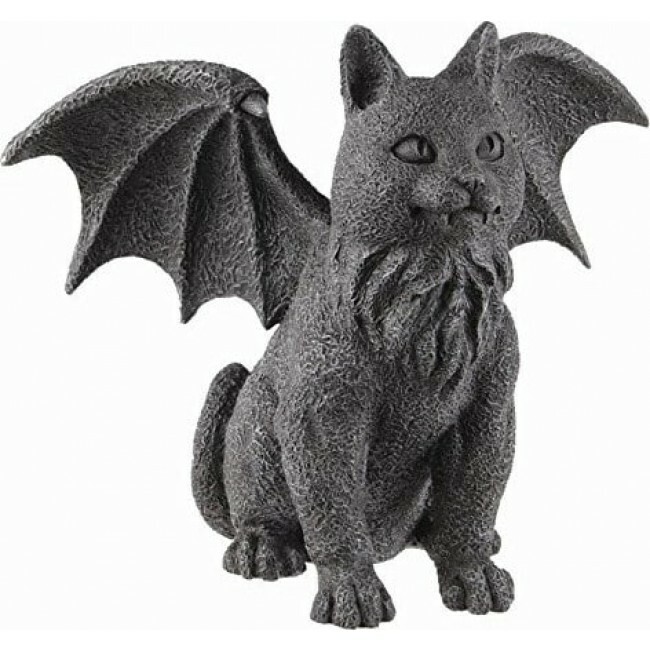 This new pussycat is the purrfect gift for cat lovers with a penchant for all things gothic. Birds look out, this kitty's got wings! Cats were once revered as Gods as they haven't forgotten this. 8 1/2" X 4 1/2" X6 3/4". This new pussycat is the purrfect gift for cat lovers with a penchant for all things gothic. Birds look out, this kitty's got wings! Cats were once revered as Gods as they haven't forgotten this. Exquisitely crafted from cold cast resin and measuring in at 8 1/2" X 4 1/2" X6 3/4".